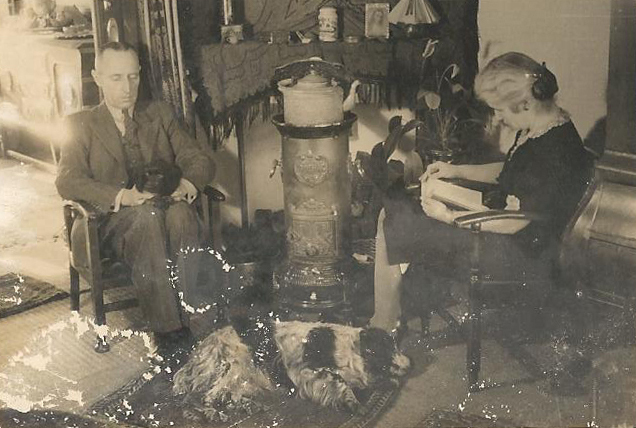 This photo is a little scarred, but I like how it shows a glimpse into the daily life of Klaas Siersema and Maria Wilhelmina van Erp, or Oma Doorn as I’ve always known her to be called. My mom’s side of the family has always liked dogs (we treat them like kings), and this image fits with that trend. It must have been a cold day, since Klaas and Wilhelmina are situated around a stove. Also, notice the kettle heading on the stove and Maria reading a book — a simpler time! 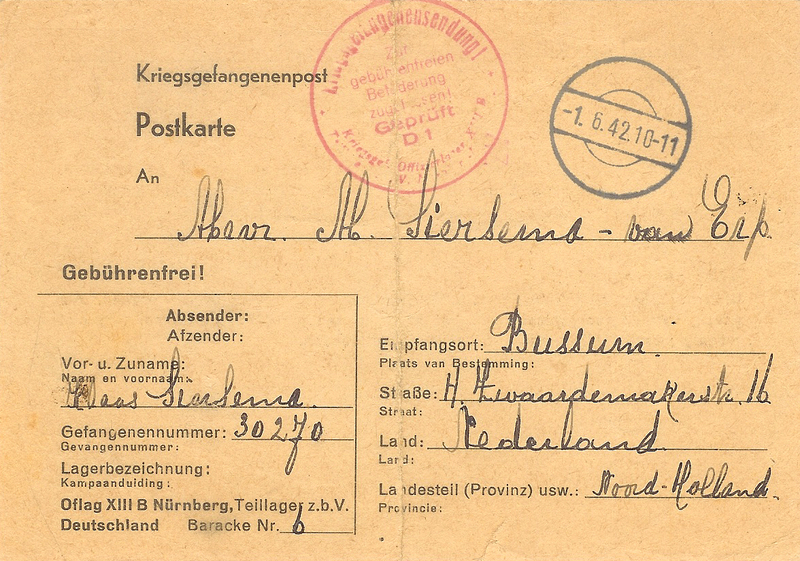 Front of the postcard from Klaas “Niek” Siersema at the Oflag XIII-B prisoner of war camp in 1942. 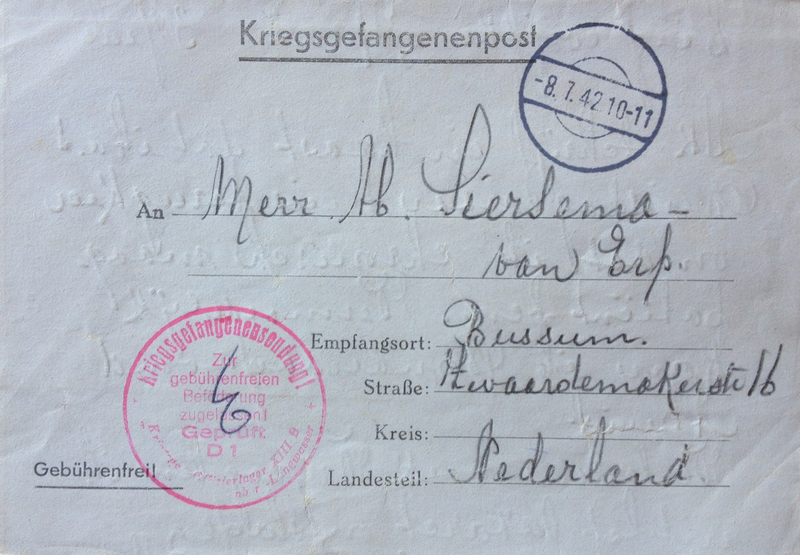 Back of the postcard from Klaas “Niek” Siersema at the Oflag XIII-B prisoner of war camp in 1942. 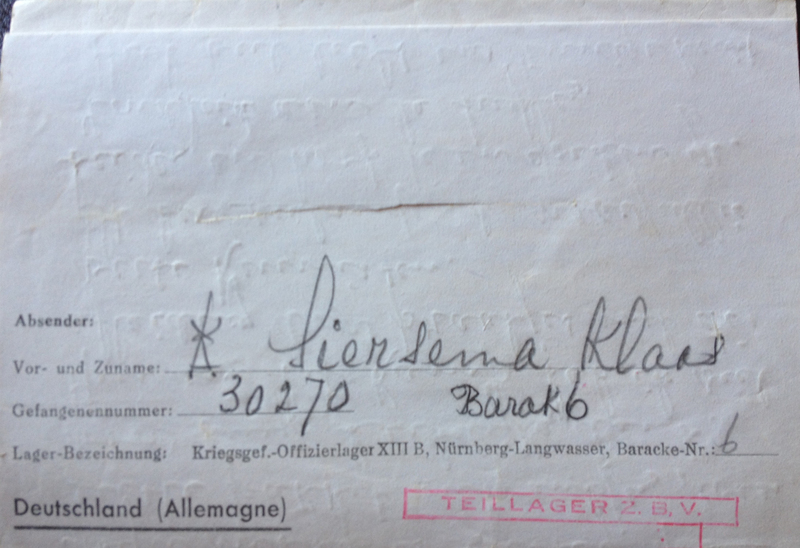 Front of a letter from Klaas “Niek” Siersema at the Oflag XIII-B prisoner of war camp in 1942. 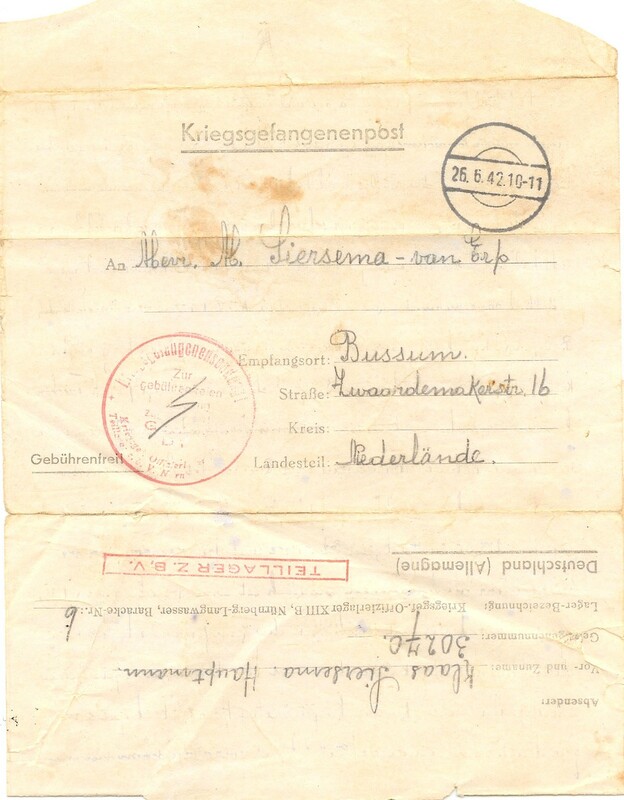 Letter from Klaas “Niek” Siersema at the Oflag XIII-B prisoner of war camp in 1942. 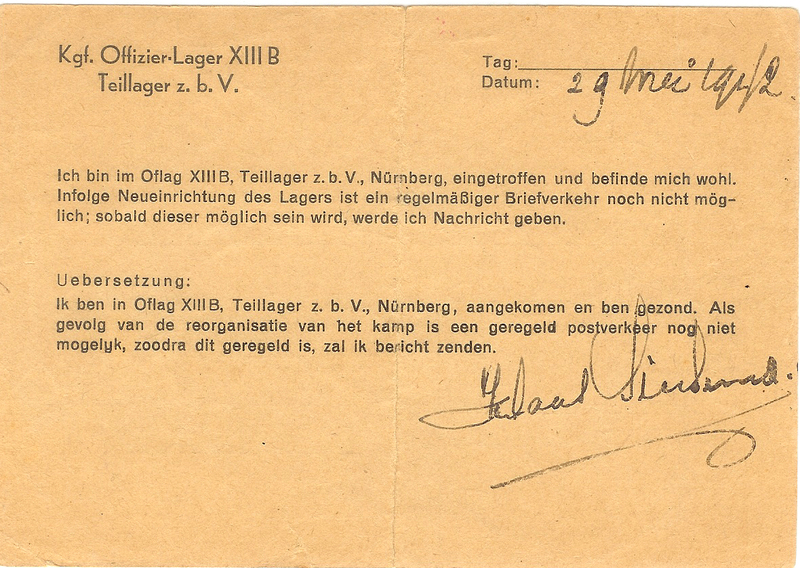 Letter front from Klaas Siersema at Oflag XIII-B in 1942. Notice on POW stationary saying it’s only for prisoner of war use and they must write on the line. The words are in German and Polish. 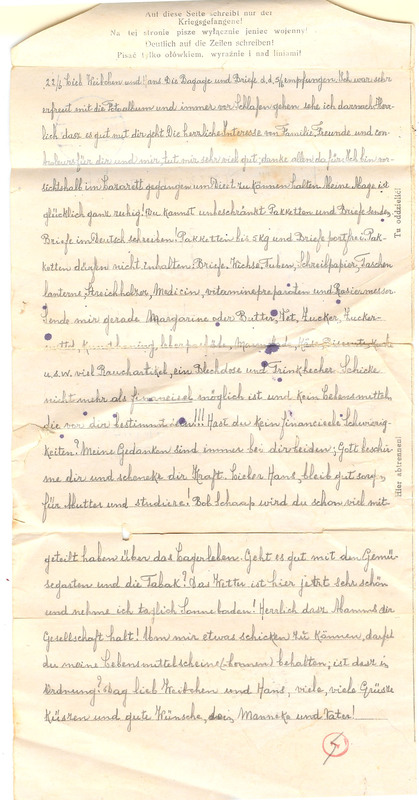 A letter written in pencil from Klaas Siersema to his wife while he was a prisoner at Oflag XIII-B in 1942. 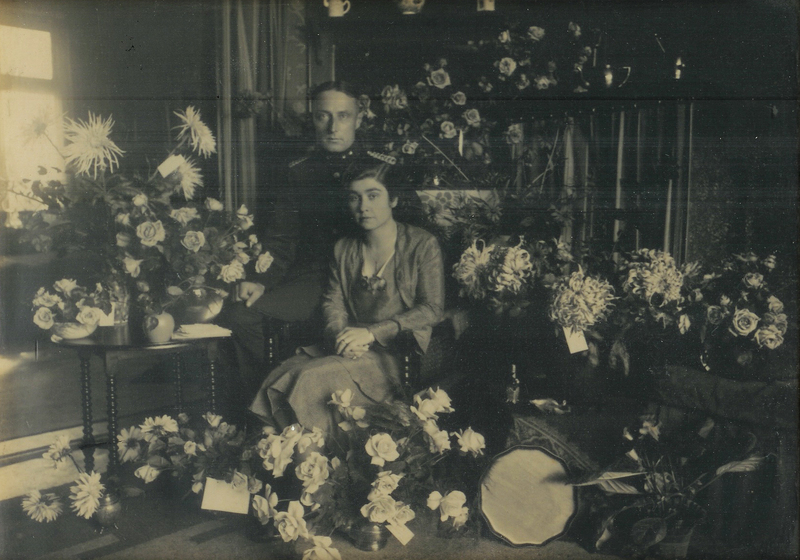 A young Johan Siersema at the foot of Maria Wilhelmina van Erp and Klaas Siersema in this undated photo. In his own words, Johan Nico Siersema had a hard life. 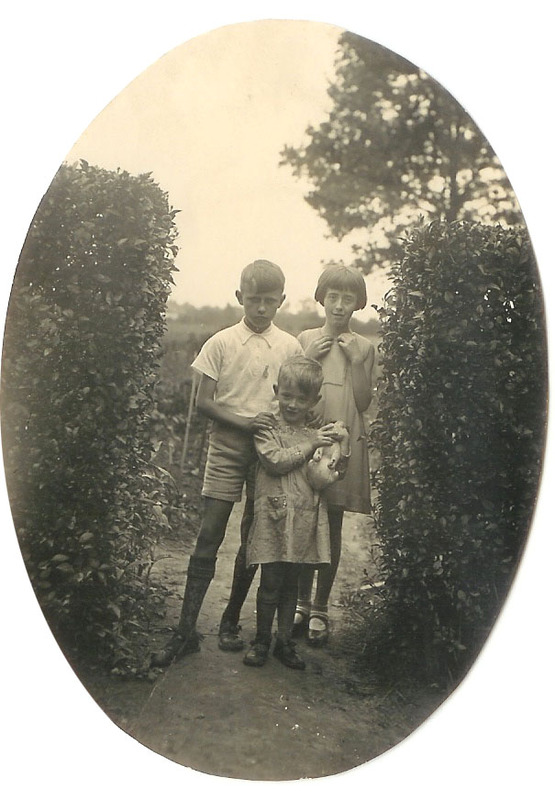 Hans, as he was called by family and friends, was born on the 9th of October, 1924, in Venlo, Limberg, Netherlands, and was the first son of Helena “Lenie” de Wit and Klaas “Niek” Siersema. Hans later had one brother, named Tonny, but Tonny died at the age of 2. 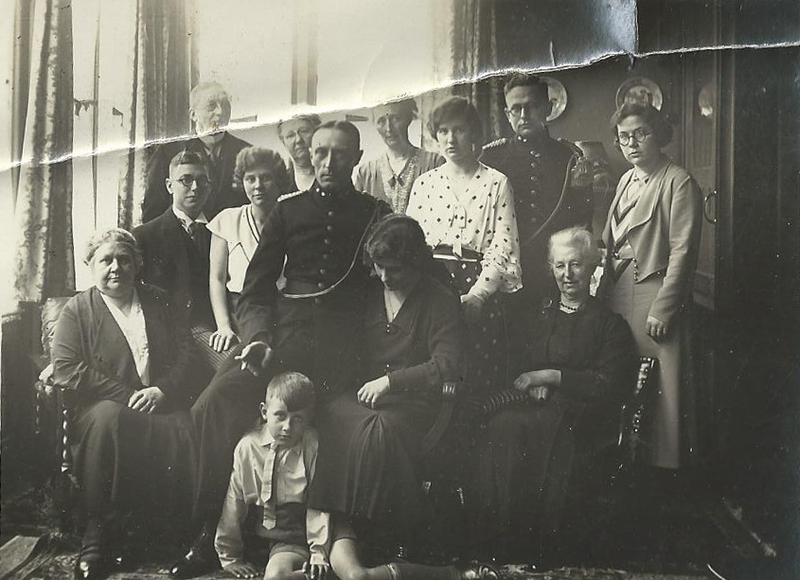 After Hans’ parents divorced when he was 5, he was essentially raised by his step-mother, Maria Wilhelmina van Erp, and never really had a good relationship with his birth mother thereafter. 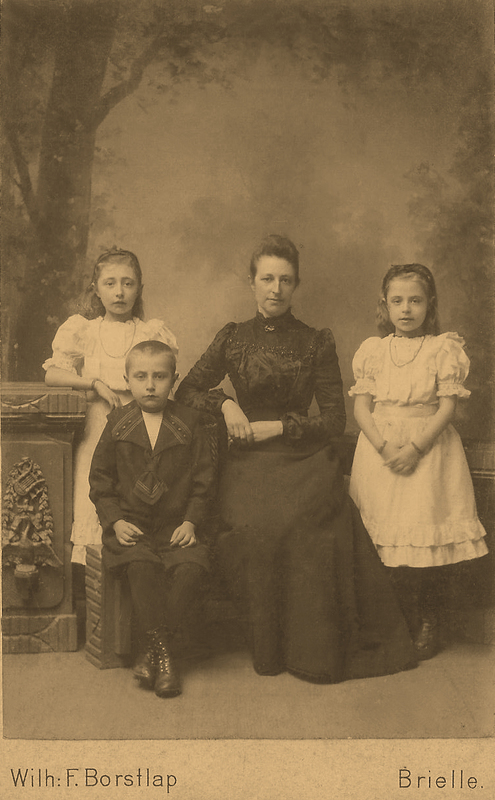 Johan “Hans” Siersema and cousins. Date unknown. Hans was 13 when he started smoking and drinking, and those became lifelong habits. Later in life, he sometimes smoked from a pipe, but preferred unfiltered cigarettes — Pall Mall — and Scotch. He attended Gooisch Higher Citizens School in Bussum from 1937 to 1943, when he graduated, according to a Dutch newspaper (De Gooi- en Eemlander : nieuws- en advertentieblad June 5 1943). During that time, he was a strong competitive breaststroke swimmer, coming in second in a local race in 1941 that was reported by a newspaper. In one tale of family lore, he missed a chance at being in the Olympics because it was cancelled for the war. 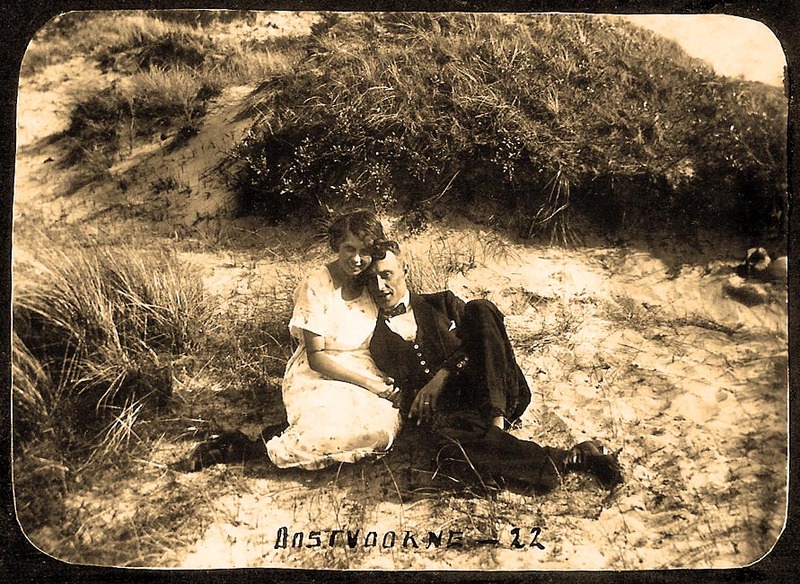 He met his future wife and my grandmother, Christina “Tineke” Kool, in wartime during the end of his high school years (he was 17 and she was 14), but I don’t know the story of it. Hans was very smart — with an 139 I.Q. — but he was waylaid from attending university by the war. During the German occupation, he was a member of the Dutch Resistance and was involved in clandestine operations. Some of these included exerting pressure on Dutch police to set an example as to why it was a bad idea for local police to help the Nazis. 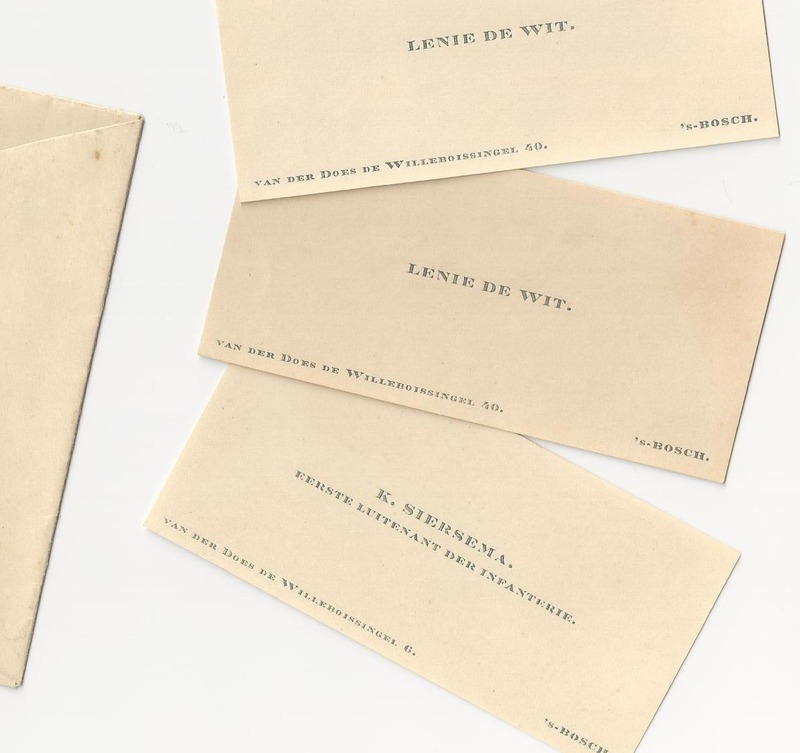 Hans went by at least two aliases: Ferdinand de Wit and Johan de Wit. The way he put it, the Nazis couldn’t really confirm his identity one way or the other. They didn’t have the technology that we do. At some point during the war, Hans found himself as the only remaining living member of three resistance cells, according to a story Hans told my Uncle Nick. According to the story, each cell had about 20 members and then a person from one cell would have contact with the next so they could coordinate. As the only living member, he was made to go identify the dead bodies of resistance fighters lined up on sand dunes. He managed to identify a couple, but then said he couldn’t do it anymore. Here, Johan “Hans” Siersema is shown in the POW camp where he was forced to dig up un-detonated bombs dropped from airplanes. Helena de Wit reportedly bribed a guard in order to visit her son and this photo is a product of that visit. In one story, he reached a bomb and it started ticking. He scrambled out of the hole and started running and when a Nazi guard started shouting at him to get back down there, Hans shouted back that the guard ought to run, too. In 1944, Hans was a prisoner of war and was held in Kamp Amersfort, about 20 miles from Arnhem, Holland. 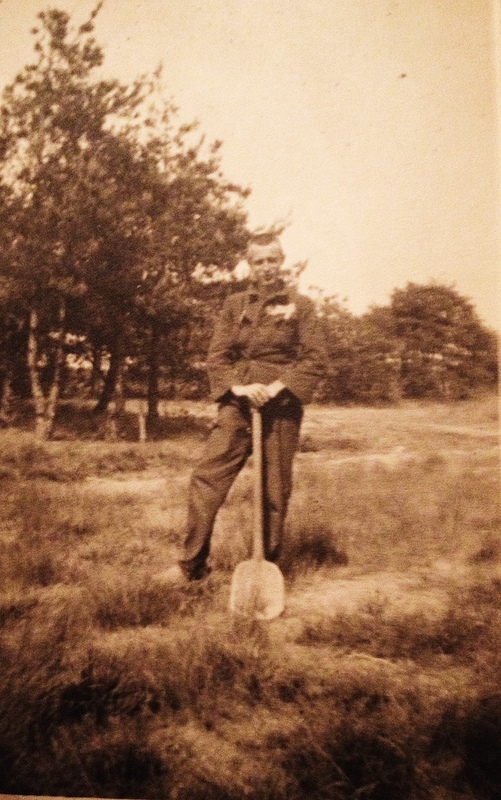 His job as a prisoner was to dig 10-foot deep holes around the perimeter of the camp in search for buried land mines. Consequently, he watched his friends who worked with him be blown up and die, according to what my mom remembers from a conversation with him. Hans returned to his family then. When the car pulled up to Klaas Siersema’s house to deliver him to his family, Klaas was worried it was the Nazis coming to take him, so he went and hid in a tobacco patch he had grown in the back yard. 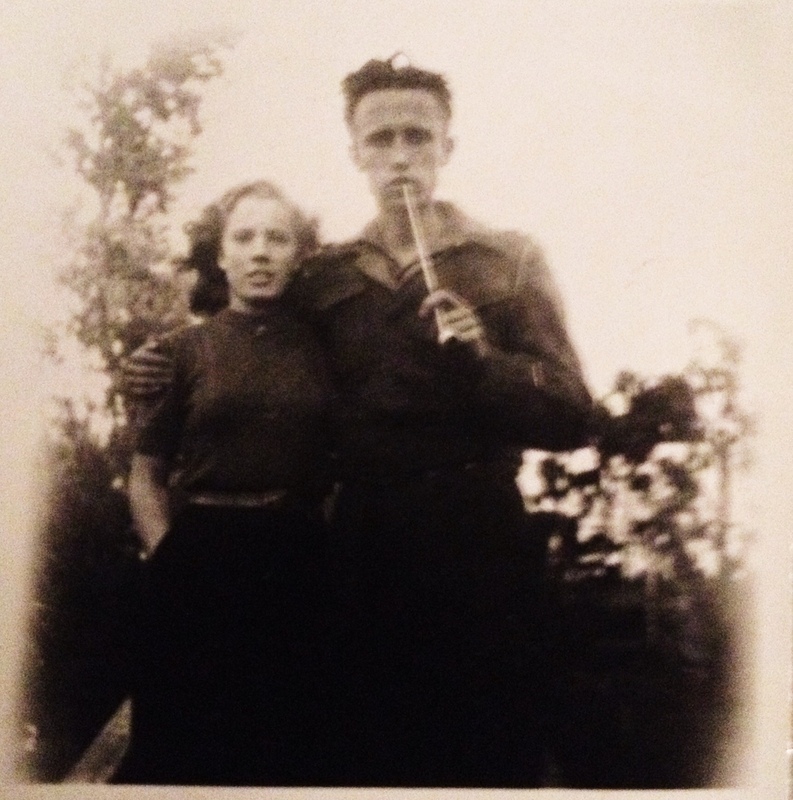 When my mom asked Hans what he did between the time of his escape in ’44 and when the war ended in ’45, his response was, “I was hungry.” They were on rations then of two pounds of potatoes and four pounds of sugar beets per week. In the same interview, he talked about his aunt Leentje Siersema and his uncle Leendert Vlaasbloem, who died of starvation just three days apart. I am not sure at what point, but on the run from the Nazis either before his capture or after his escape, Hans went to his mother looking for a place to hide. She turned him away for fear of being found out, so the story goes, and their relationship was further damaged. 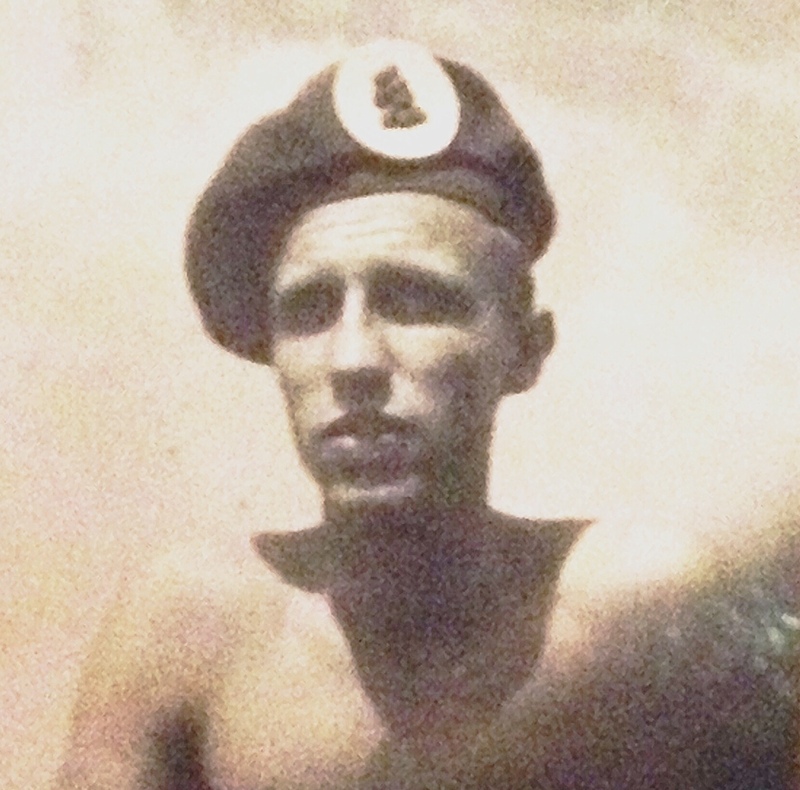 Hans enlisted in the Royal Netherlands Army in Eindhoven on the 9th of July, 1945. At that time, the German Occupation had ended, but the war with Japan was still going. 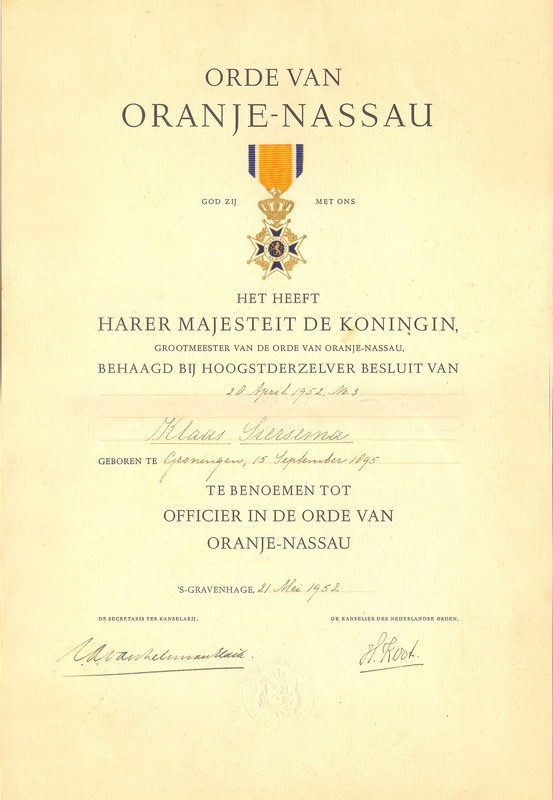 He was sent to England, where he was a small arms instructor for the new Dutch Army until 1946, when the military wanted to send him to Indonesia. Hans resigned his commission then, wanting to get away from the fighting, which he’d just done for five years. In a story Hans later told my Uncle Nick, Hans once found himself guarding Nazi prisoners. One of them spoke up, saying Hans looked familiar. It turned out the Nazi prisoner had guarded Hans before and their roles were reversed. Later, he was commended to be of good character by the mayor of Doorn, but I am not sure why. Following wartime, a 23-years-old Hans enrolled in university. Because he felt like he’d lost so much time already, he rarely went to classes. Instead, he studied books and showed up to take exams. He graduated with a degree in economics after two years instead of the typical four. “You know, I’d lost a number of years,” he explained his motivation. Between July and September of 1949, he and Tineke eloped in Aylesbury, Buckinghamshire, England. Christina Kool and Johan Siersema in 1945. “What happened is, we started sleeping together, and in those days, Sweetheart, that wasn’t done — that was not done. But we wanted to keep on sleeping together, so we secretly got married,” he said in the interview with my mom. They were officially married with family present the following year. Note: I will continue my grandfather’s story in a second bio post. Here, I tried to be as factual as possible, but if I’ve learned anything looking into my family history, it’s that everyone can have a different story about the same events. I welcome anyone who wants to share their story of Opa John in the comments and I will continually update this post as more information become clear to me. I would love to do a separate post with everyone’s memories. For instance, until recently, I’d forgotten how he made a sort of whistling noise through his teeth when he spoke. These are another couple finds from the box my uncle Philip Siersema lent me to scan — actual calling cards from the 1920s! They belonged to Klaas Siersema and Helena de Wit. Apparently, they were stored in a little envelope, so they’re still in pretty good condition. Kind of a cool little piece of history. I recently borrowed a box of old photographs and documents from my uncle Philip Siersema, and in it I found this little gem. It’s a pocket photo book with images of Klaas Siersema’s second wife Maria Wilhelmina van Erp and his son, Johan. Klaas (born 1895), as I’ve noted before, was a career military man, so it would make sense that he was away from home a lot and wanted something with him to remember his loved ones by. I also like that it shows a softer side of him, especially since his reputation wasn’t exactly super warm and fuzzy. 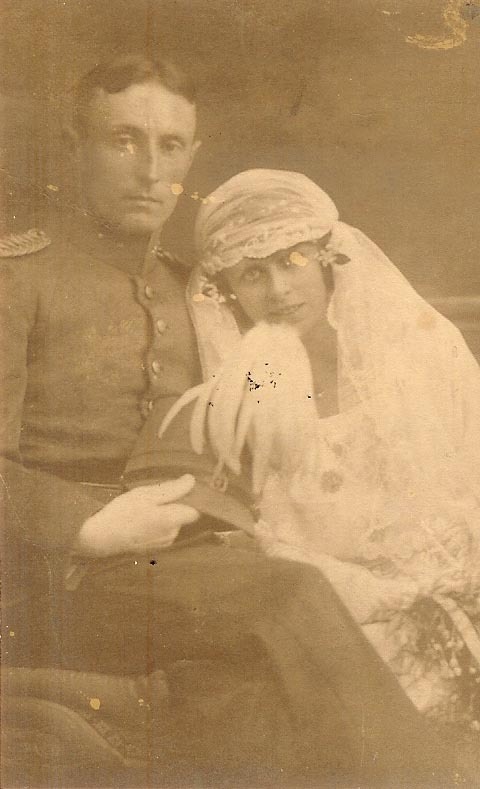 While Klaas Siersema and Helena “Lenie” de Wit were very much in love when they wed, all things, as they say, must come to an end. A little less than six years after they were married, Klaas filed for divorce in Ginneken en Bavel, North Brabant, where they lived at the time. Helena did not protest. The request was filed on the 30th of January, 1930 — about a year and a couple weeks following the anniversary of the death of their second son, Tonny. That’s according to a FamilySearch.org scan that a friend, Jan Brul, who I met on the Ancestry.com message boards, kindly located. Leading up to their divorce, Klaas was away a bit as a career military man, and Helena was at home, building a relationship with the family doctor, Gerard Broeders, according to family lore. Rumor was, they became close through Tonny’s illness and death. I believe that, at the time, divorce was rare (although it was even rarer when Klaas’ mother Arentje Vermaas divorced his father), which may have been why the divorce was registered on a marriage form. Interestingly, none of Klaas’ and Helena’s descendants in the following two generations had lasting first marriages. In the aftermath, Helena left Klaas and their son, Johan, to be with Gerard, whom she remained in a relationship with indefinitely. She never married again. 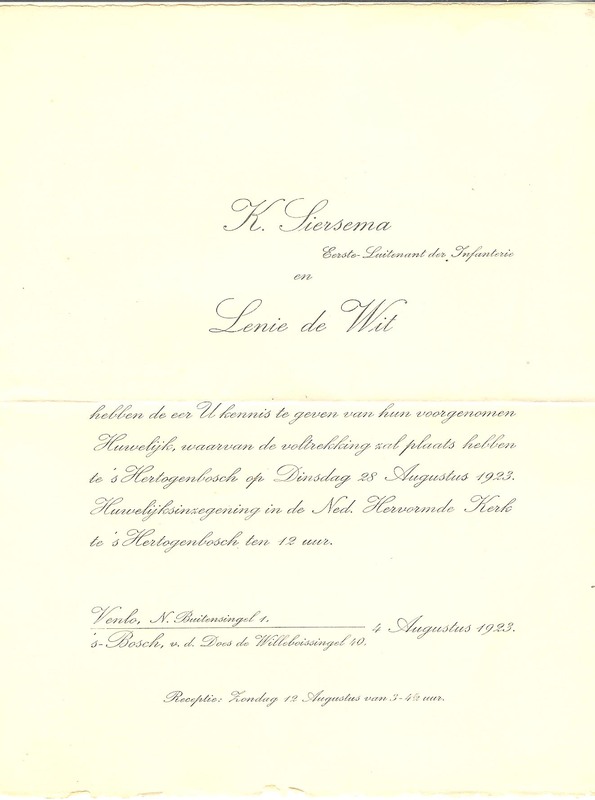 Klaas eventually remarried to a woman named Maria Wilhelmina van Erp, who raised Johan, but I don’t know exactly when that was. 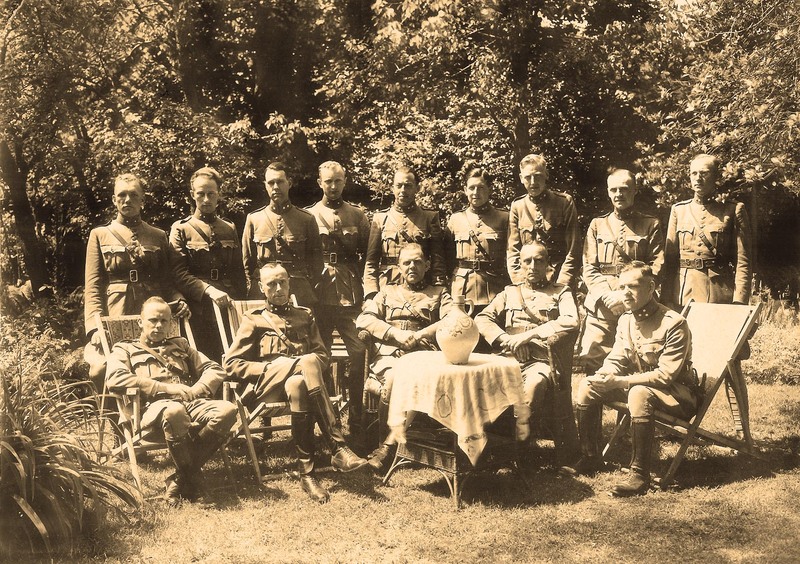 This is a slightly retouched photo of Klaas Siersema, second from the bottom right, and his fellow Royal Netherlands military officers on July 15, 1940. At this time, judging by the stars on Klaas’ collar, he had achieved the rank of captain. On the back, it says that these are the officers of the battalion that Niek commanded, according to a translation my cousin Anje Belmon graciously did. Unfortunately, I have no way of knowing who Niek was. Update: About a week following this post, I listened to a 1980s audio interview my mother, Joy Siersema, did with my grandfather and Klaas’ son, Johan Siersema. From the interview, I learned that Klaas went by Niek, so these would have been the soldiers under his command. The writing on the back also notes that four men are missing from the photo. Their last names were — again as best as I can make out — Ter Hal, Nahuiser, Schiere and Meyer. 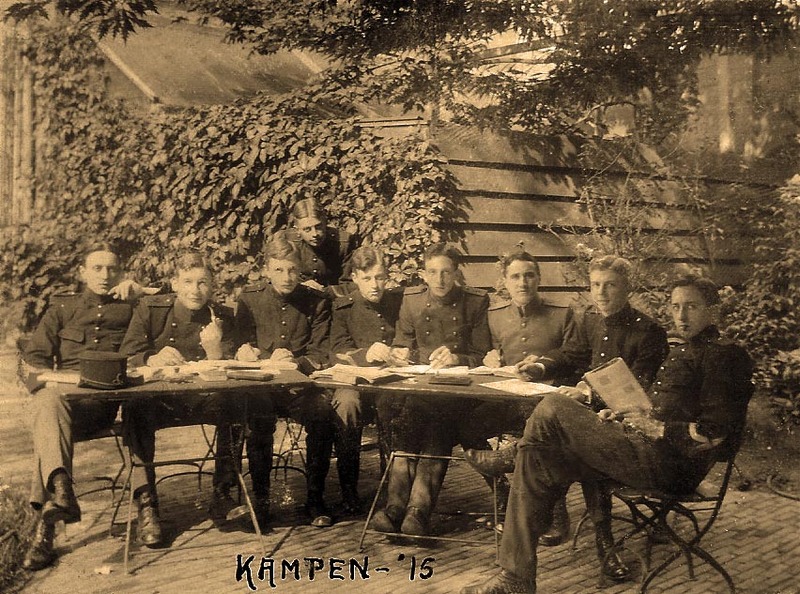 This is a retouched photo of my great-grandfather, Klaas Siersema (at far left), and some of his fellow soldiers in the Royal Netherlands military in Kampen, Overijssel, during WWI. This was very early in his career, and he would have been about 20 years old. 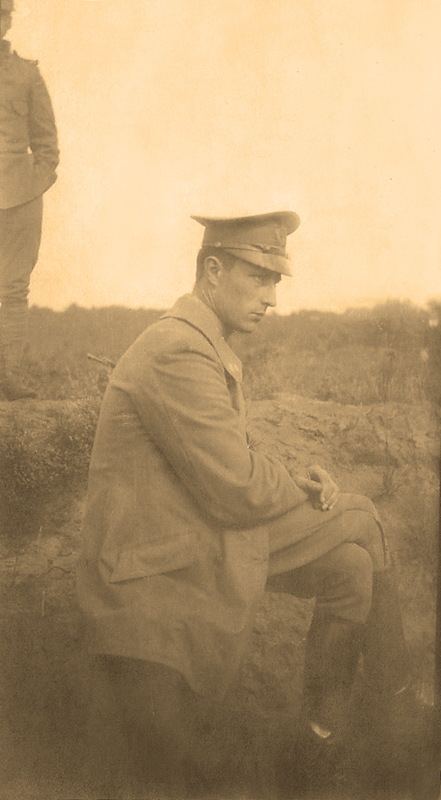 I believe that, at this time, he was a Vaandrig (officer cadet), judging by his promotion to Tweede-Luitenant (second lieutenant) a couple years later.